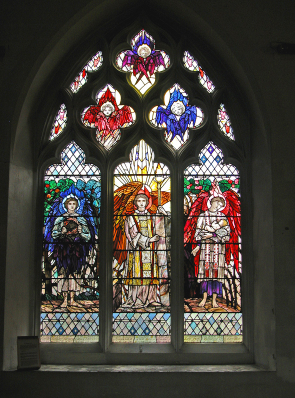 Lancelot Tudsbery was born on 14th February 1898. His father was John Henry Tudsbery DSc, of Westminster, and his mother was Ruberta Emeline, daughter of John McMurdo Cannon, of Rock Ferry, Cheshire. His brother Marmaduke Tudsbery had spent a brief time in Ashburnham for between 1907 and 1908, and their family home was 100 St George’s Square, SW.
Lancelot arrived at the school in September 1910 and studied on the Classical side. He represented Ashburnham in the OTC, being promoted to Corporal in Lent 1915. During the athletics season in Election 1916 he won the Hammer Throwing with a distance of 1,87ft, and “owed his success to his strength”. He was on the Town Boys’ Tug of War team vs. the King’s Scholars and is recorded as weighing 12st 0 lbs. In Lent 1916, the Ashburnham House Ledger records “Tudsbery, L. has managed to pass an examination, we know not what, but the mere passing is sufficient glory without its name. He also went through touching farewells to us twice, but each time reappeared.” This exam was apparently the Civil Engineers’ Exam and The Elizabethan wryly congratulates him “on his success in deceiving the examiners”. He was a student of the Institute of Civil Engineers from 4th of April 1916, and he did actually leave the school in July 1916. On the 13th January 1917, Lancelot joined the Royal Field Artillery (Special Reserve) as a 2nd Lieutenant, and went out to the western front on 30th March 1917. He was part of the ‘B’ Battery, 70th Brigade RFA, which was, at this time, a six-gun battery. His Brigade saw action at the First and Second Battles of the Scarpe (including the capture of Guemappe during the Arras Offensive). They went on to Flanders, where they were in action at the Battle of Pilckem (31 July-2 Aug) and the Battle of Langemarck in August 1917. 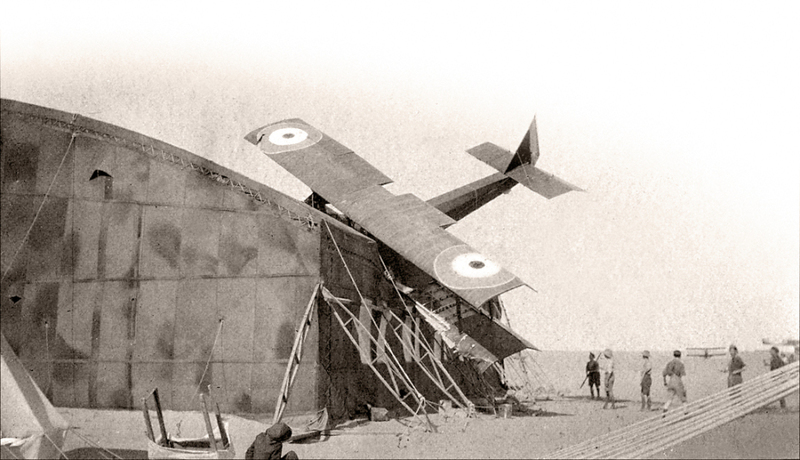 Lancelot was killed in action at the age of 19 near Ypres on the 22nd August 1917. He is buried at Brandhoek New Military Cemetery No. 3. 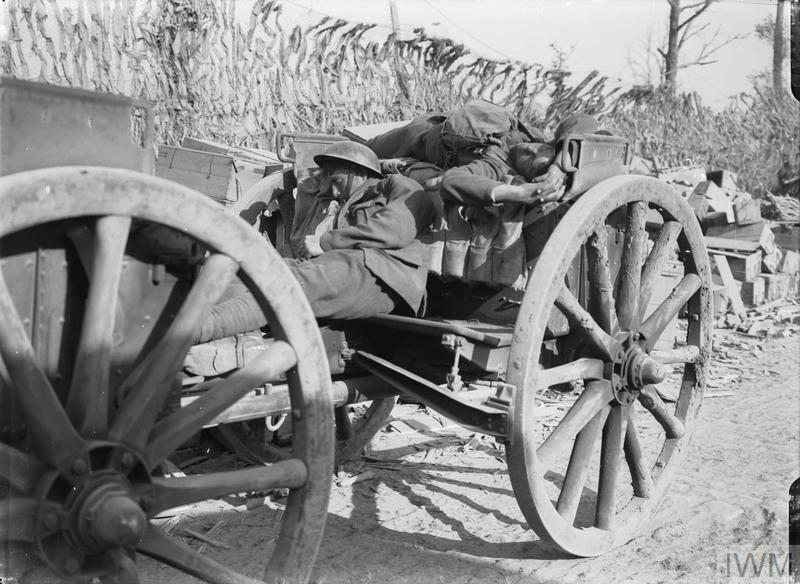 Two men of the RFA sleeping on a limber on a road near Hooge, August 1917. Arthur Lindsay Maury Churchill was born in Sri Lanka, then known as Ceylon, where his father was Director of Public Works. He joined the school, boarding in Riguad’s House for two years in September 1879. Whilst at Westminster he played football with some success, scoring a goal in a house match against Homeboarders. After he left the school he became a doctor at Westminster Hospital, before moving to work at Wonford Hospital, and County Asylum, Lancaster before undertaking general practice in Mevagissey, Cornwall where his mother had grown up. Upon the outbreak of war, Churchill, then aged 49, joined the Royal Army Medical Corps. He was attached to the Hampshire Battalion of the Royal Field Artillery in December 1914. He was promoted to the rank of Captain and transferred to the London Irish Rifles in 1915. His Batallion was stationed in Greece in late 1916, and then sailed for Egypt in June 1917. Churchill died on active service whilst the troops were training in the desert conditions at El Sahuth. 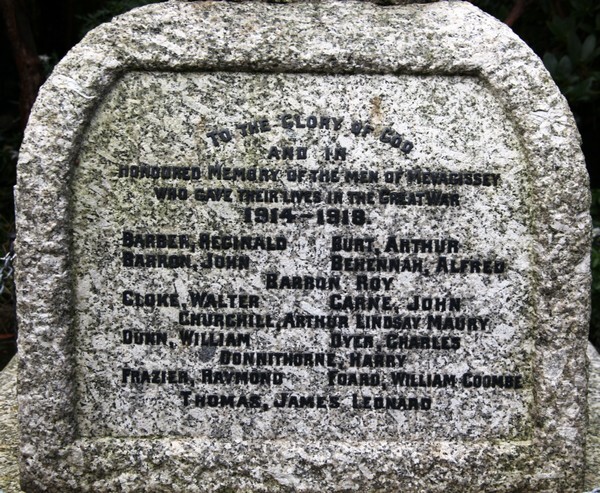 He is remembered on a memorial Mevagissey and his name was included in WildWorks’ 100: The Day our World Changed, a continuous theatrical event from dawn till dusk, travelling from the harbour of Cornish town Mevagissey to the nearby Lost Gardens of Heligan on 3rd August 2014. Wilfrid James Nowell was the only son of the artist, Arthur Trevethin Nowell and Lucy Helen Daniel. He attended Westminster School for a brief period from April 1910 until December 1912 and boarded up Grant’s. Some years later Augustus John (1878–1961) called to see his artist friend. 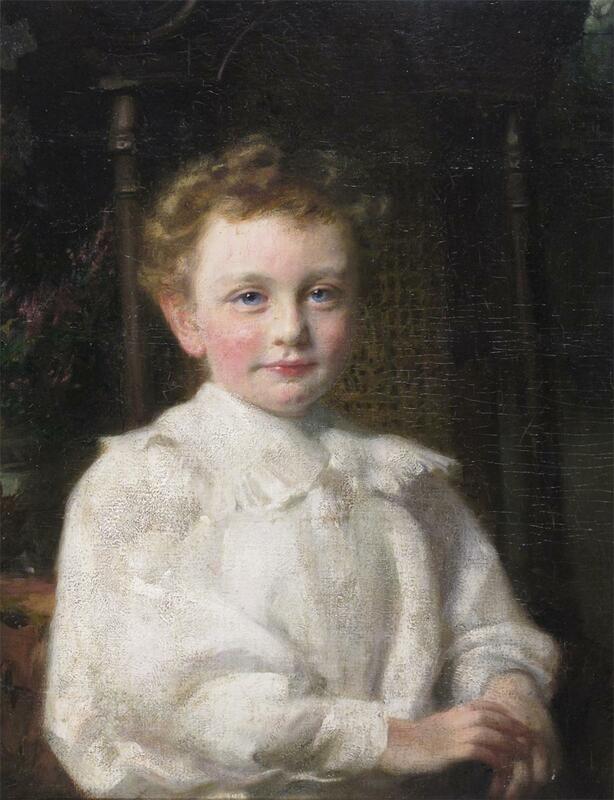 His attention was drawn to paintings by Wilfrid. A proud father would tell the story of the day his son took off with one of his canvases and oils to paint a Scottish river in spate. Unaware of the venture Nowell was astonished at the result. The painting took pride of place in his home, never to be disturbed. John expressed a wish to have been equally talented when so young, a politeness perhaps, but, without question, Wilfrid was blessed with a fine natural gift. We do not know what Wilfrid did immediately after leaving the school, but following the outbreak of war he enlisted in the Artists’ Rifles. 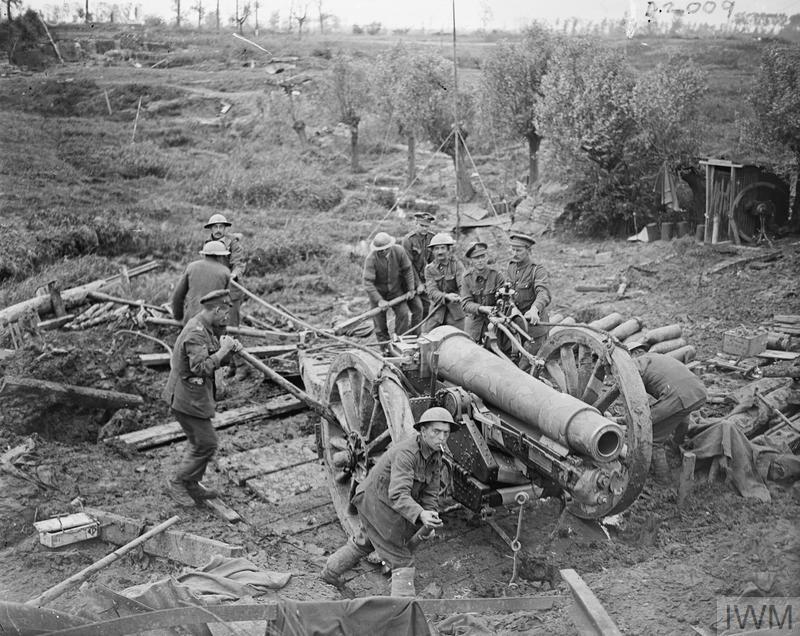 From there he obtained a commission in the 460th Howitzer Battery of the Royal Field Artillery. He was initially posted in Egypt in November 1915, but was transferred to the Western Front in March 1916. His regiment took part in a number of battles from 9th April to 16th May now collectively known as the Battle of Arras. 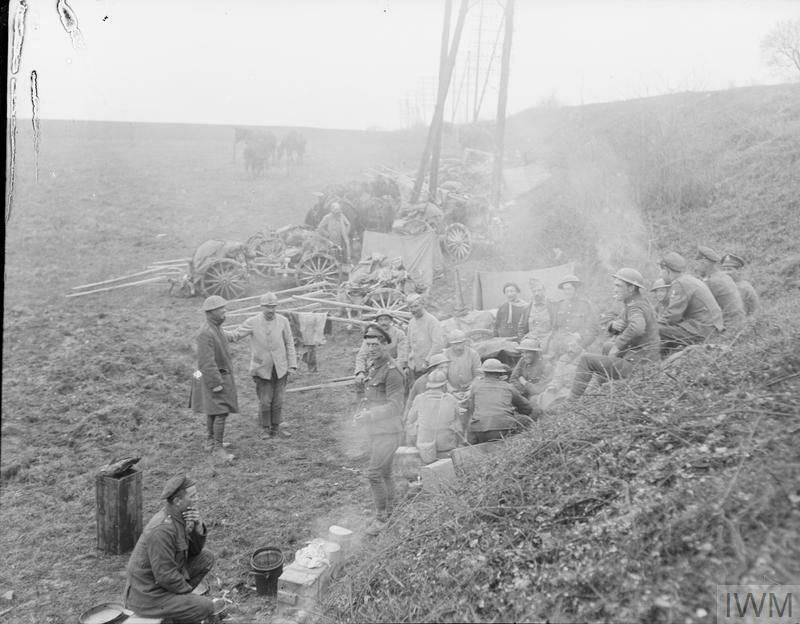 British troops attacked German defences near the French city of Arras and achieved the longest advance since trench warfare had begun. 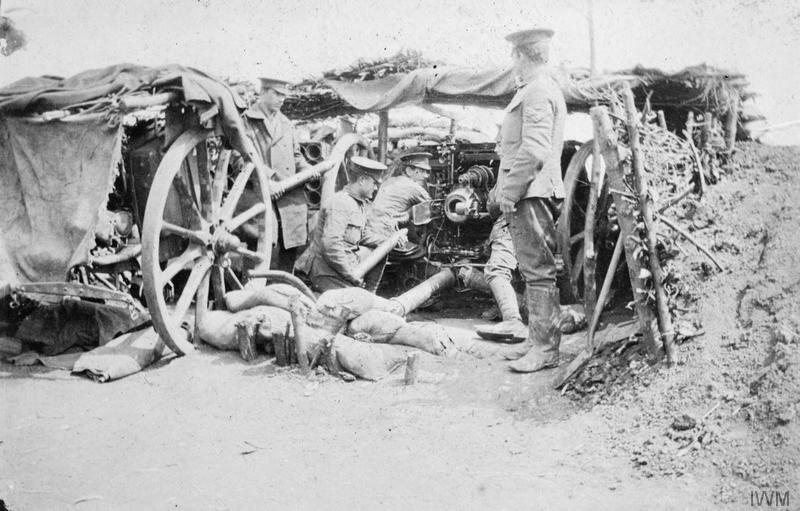 When the battle officially ended on 16 May, British Empire troops had made significant advances but had been unable to achieve a breakthrough. Wilfrid was killed in action on the first day of the attack. S.A. Dickson played at his very best against Charterhouse. He lacked weight, but was neat. As was the case with most of the team, he could not face adversity. Upon leaving he became a District Commissioner in West Africa, and subsequently in South Africa. Later he worked in business as a rubber-planter in the Federated Malay States; rubber production was a large growth industry due to its use in the manufacture of car tires. Sigurd returned home on the outbreak of the First World War and became a 2nd Lieutenant in the Royal Field Artillery. He was attached to the 102 Brigade and went out to the western front with them in 1916. On 15th and 29th November 1916, Haig met the French commander-in-chief Joseph Joffre and the other Allies at Chantilly. An offensive strategy to overwhelm the Central Powers was agreed, with attacks planned on the Western, Eastern and Italian fronts, by the first fortnight in February 1917. Early in 1917 troops were assembled in the area in preparation for the attack. British determination to clear the Belgian coast took on more urgency, after the Germans resumed unrestricted submarine warfare on 1st February 1917. Sigurd was killed in action near Ypres on 1st February. 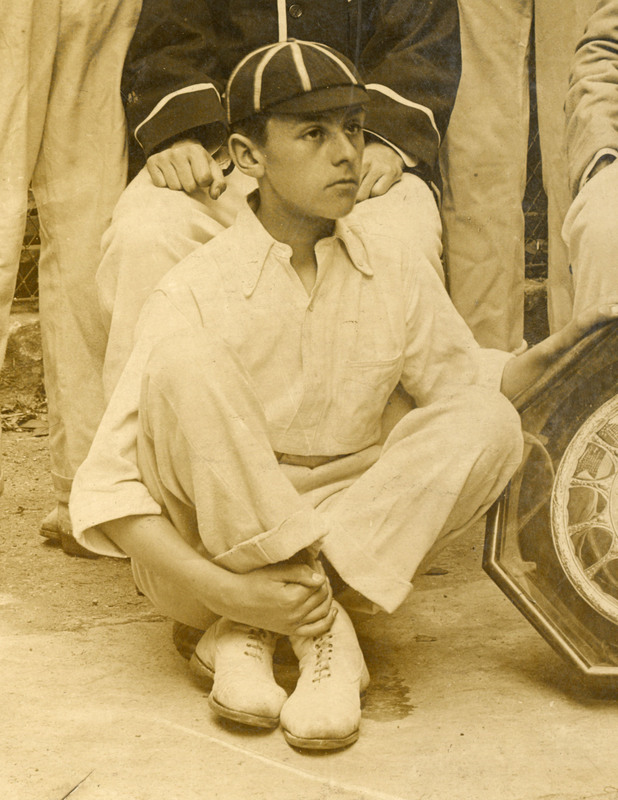 George Drought was at the School for only a year before he migrated to Dulwich College, which was near his home. He was in Homeboarders house whilst at the school so the daily commute must have proved taxing. He joined the army after leaving school, obtaining his commission as 2nd Lieutenant in the Royal Field Artillery in November 1899. He served in the South African (Boer) War from 1900-1902 and went to the front line again when the First World War broke out. He died on 14th June from wounds received almost a month earlier in action at Festubert, France on 17th May 1915. He had married a woman named Louise Lockhart and had a son with her, George Richard Smerger Drought. He was not yet 5 years old when his father died. Louise married again in 1917. His son died fighting the in the Second World War by amachine-gunner trying to capture Floridia, Sicily in 1943. He in turn left behind two sons and a daughter all just a few years old.